Nurses decided to paralyze public healthcare institutions in the following three weeks, calling for the government to take them seriously. Rabat – Nurses are planning to stage three nationwide strikes starting next week. They decided to go on a weekly strike for the next three weeks, March 13, 21, and 28. 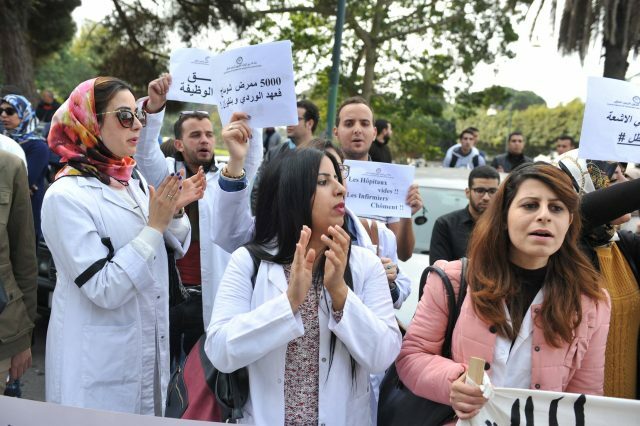 In a meeting organized by the Movement of Nurses and Health Technicians in Morocco (MITSAM) on Saturday, March 2, nurses outlined the details of their strike, which they say is in response to the Ministry of Health’s reluctance to take their demands seriously. 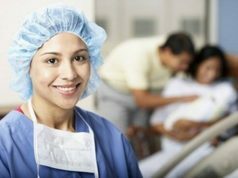 She clarified that the strike will involve all hospital staff except for emergency departments and intensive care units. In December 2018, police arrested a nurse for alleged infant negligence and subsequent death. The nurse served one month in prison and was released on bail early this year. MITSAM ascribed the negligence to the absence of specialists, saying the hospital did not have a pediatrician or pharmacist, amid a severe shortage of human resources. According to the WHO, in 2007, “the number of medical, nursing, and paramedical staff providing direct care to patients was well below the critical threshold of 2.3 health care providers for every 1,000 inhabitants,” which is “necessary to assure essential care,” especially in relation to the attainment of the Millennium Development Goals set by the United Nations in 2000.